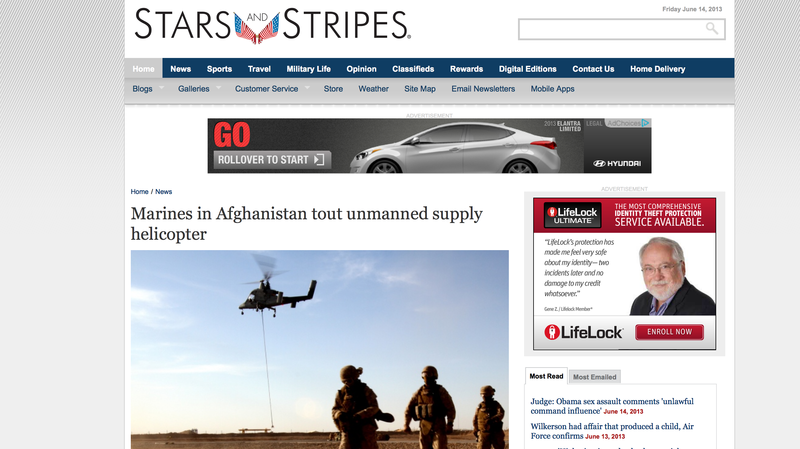 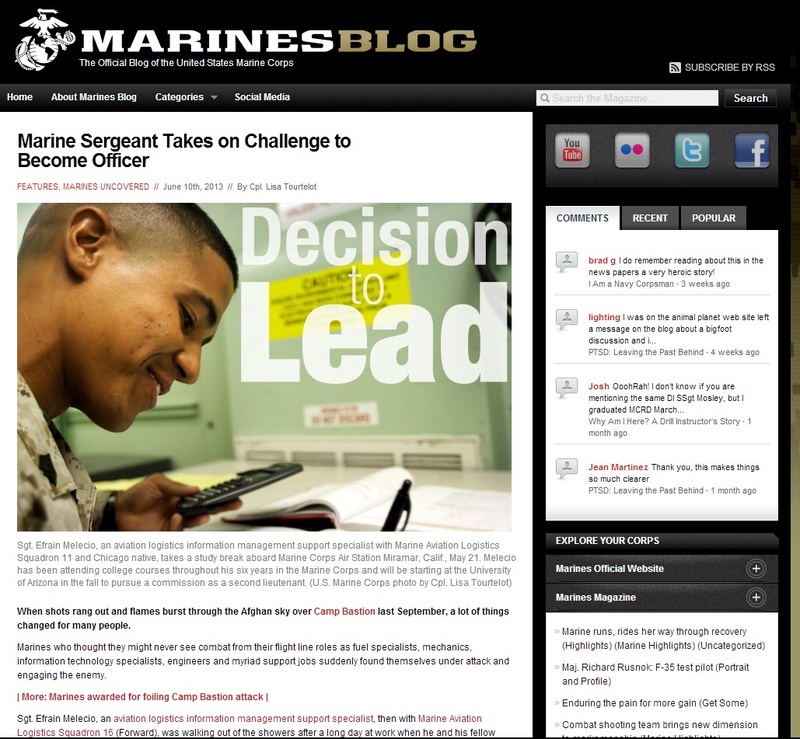 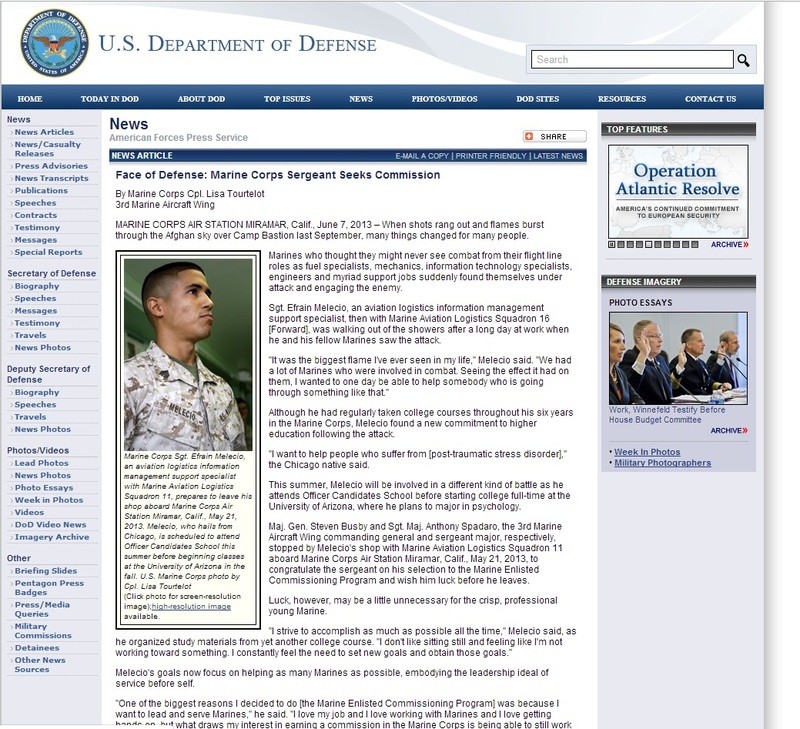 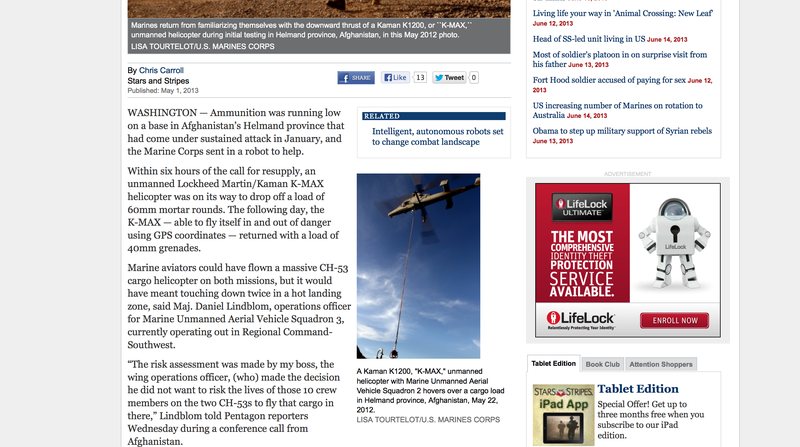 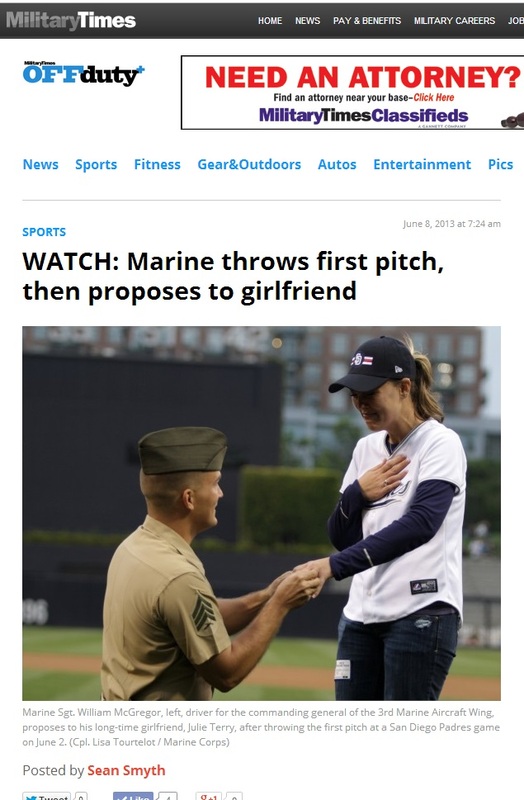 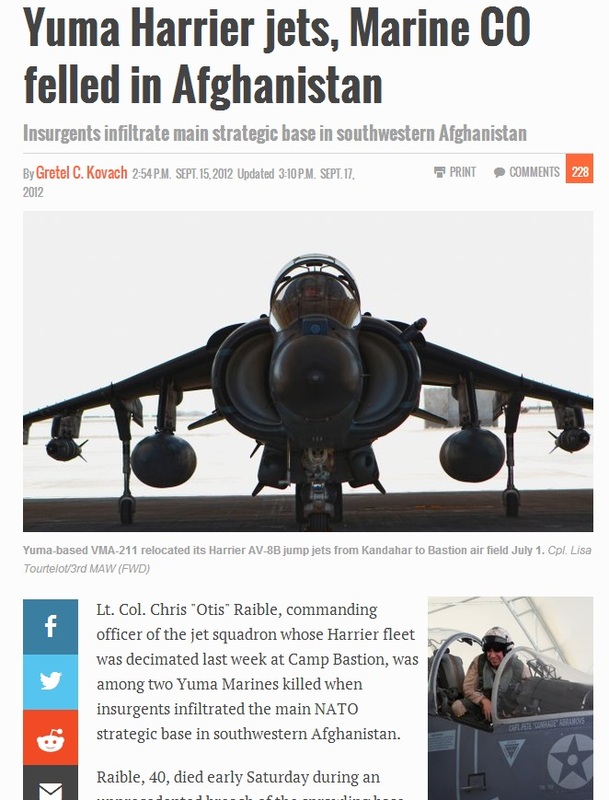 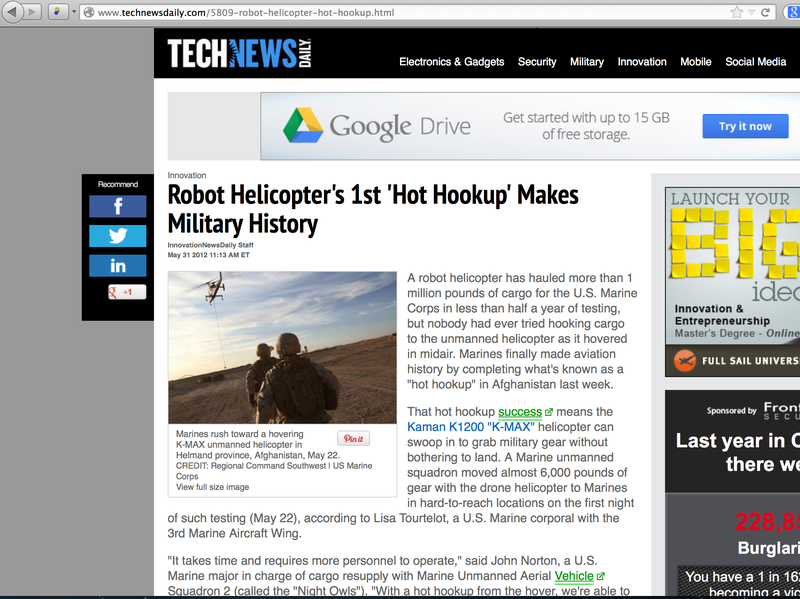 “Hot Hookup” story and photos featured in Stripes. 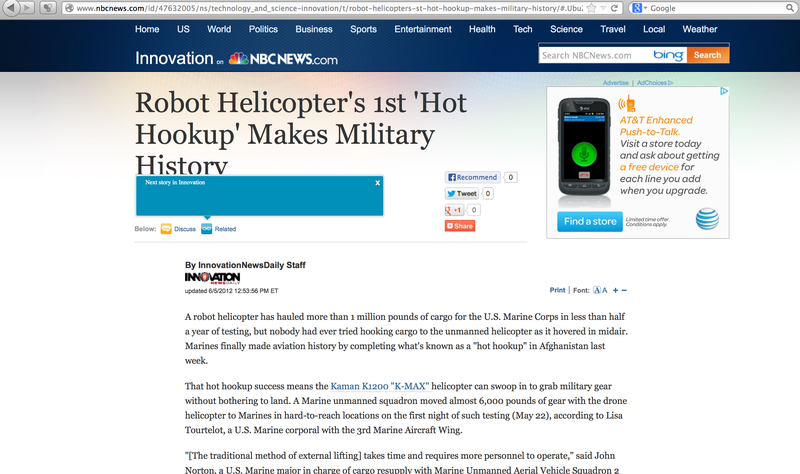 “Hot Hookup” story featured on NBC News. 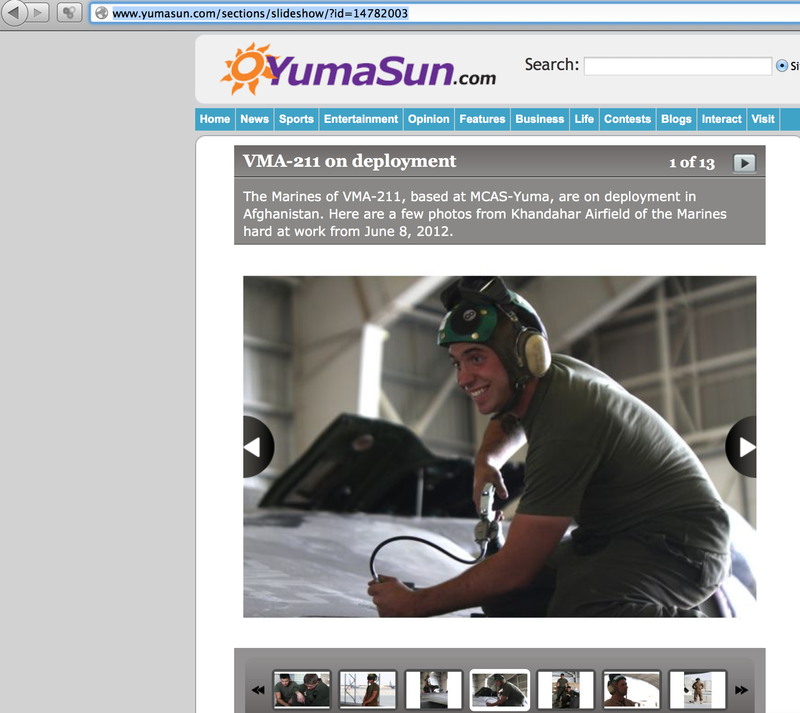 Photos featured in the Yuma Sun. 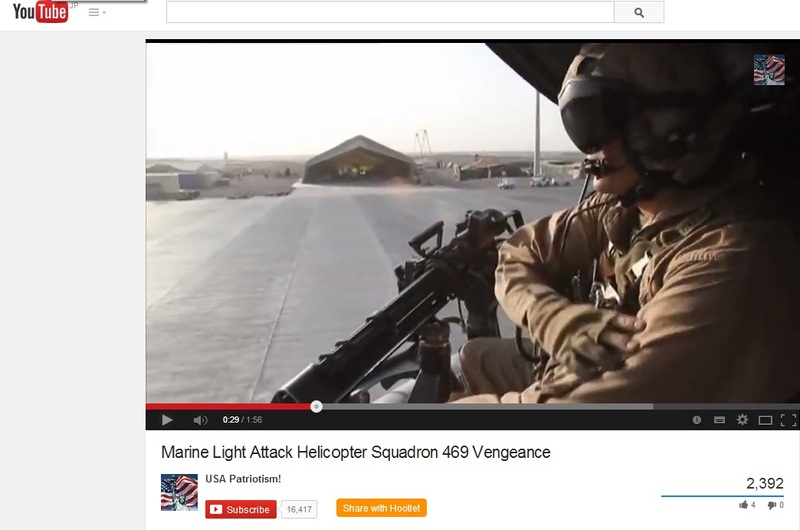 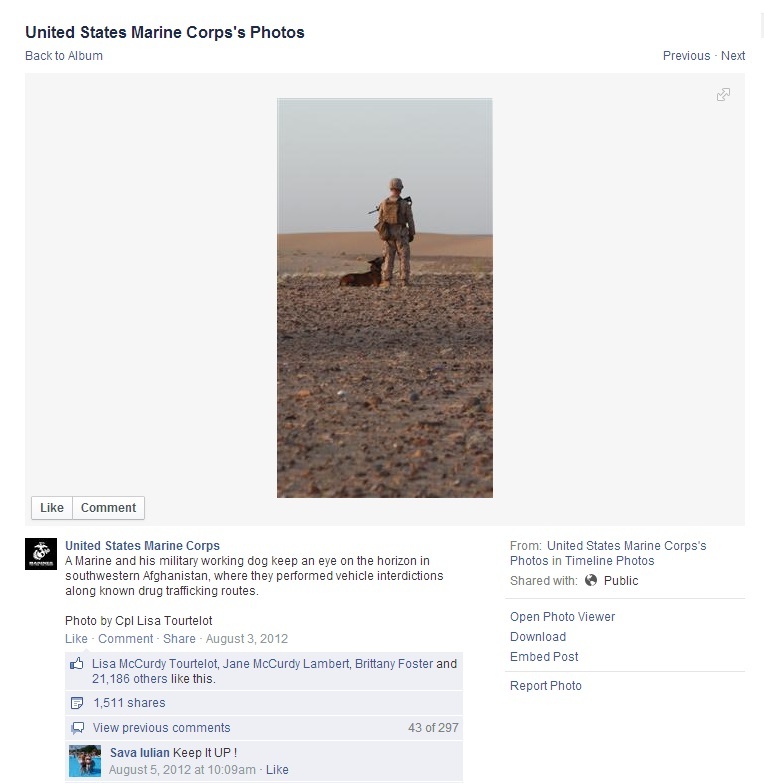 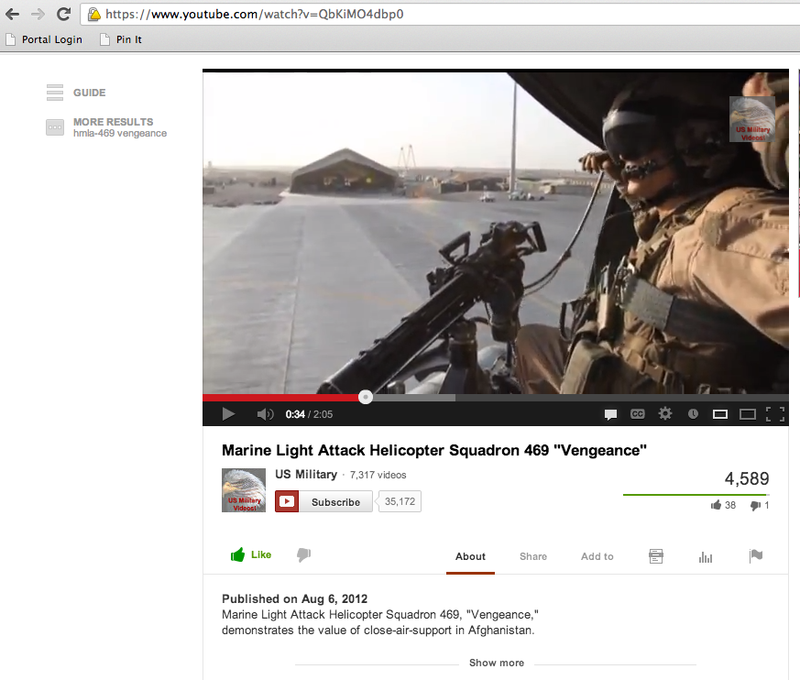 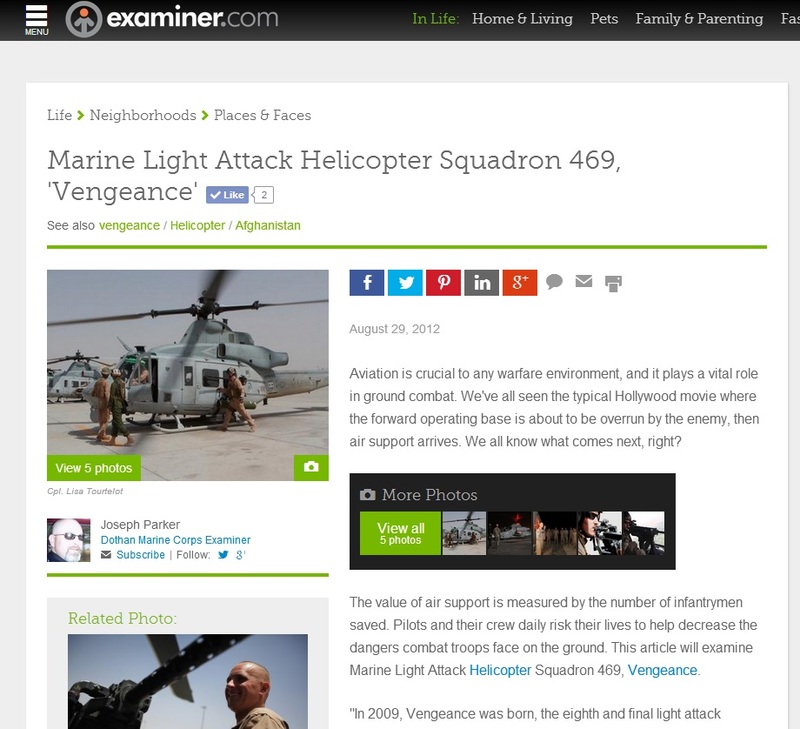 HMLA-469 Vengeance video with 4,000+ views on independent YouTube channel.